The other day I decided to do some more craft punching... This time I got down to punching the chocolate envelope liners. 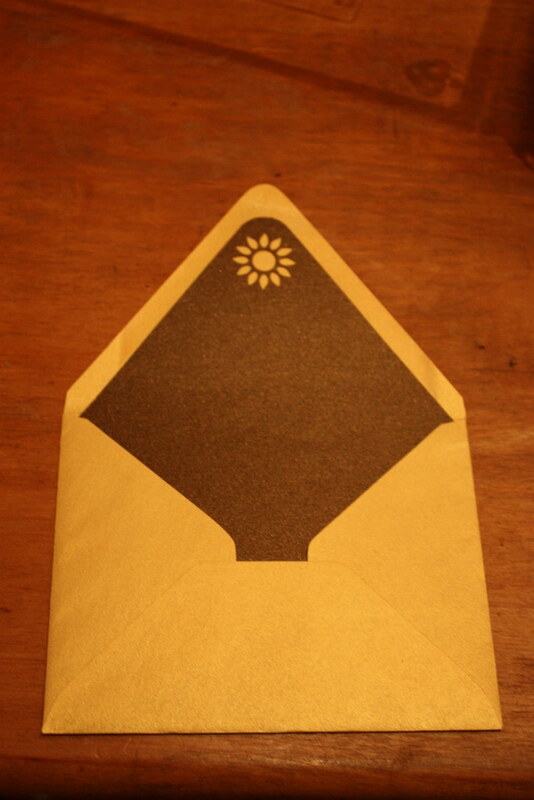 Our envelopes are a pretty metallic gold stardream paper so when I had to choose a liner, I decided on the stardream bronze (looks more chocolate brown than bronze but Ok...) that we used in our wedding suite. As for the punch... it was a toss up between the corner flower punch we used for the invite corners and this other really awesome sunflower punch that I had yet to use. I tested both and loved the look of the sunflower punch. There was only 1 problem. 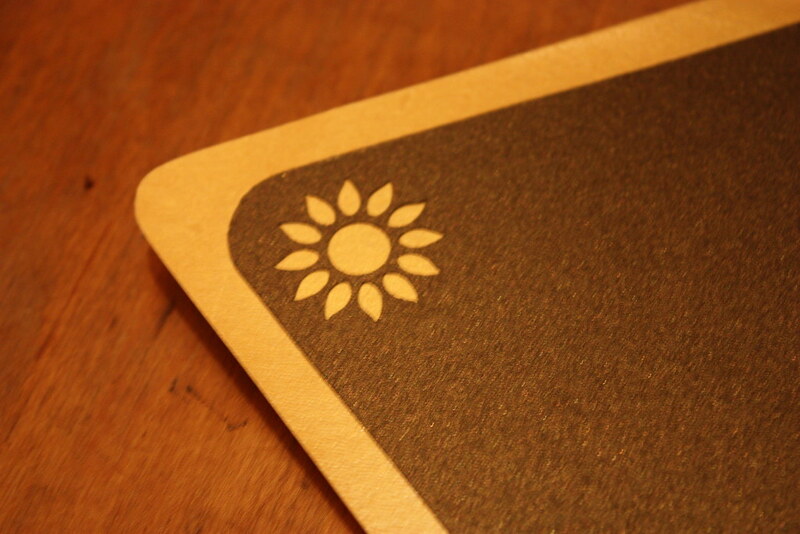 It was a royal pain to line up properly so the sunflower was dead center. This led to about 1/3 of the liners being punched off center and looking like doookie! Now I could have just ran with that because how many people will seriously look at the envelope liner. 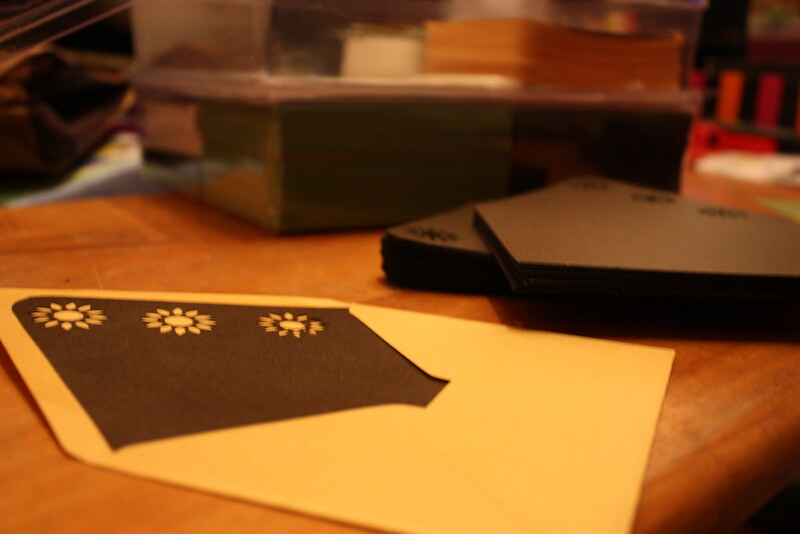 But I'm a perfectionist and couldn't have my envelopes looking below my standards so I played around with the punch to get this solution... Add more punches to the off centers making it look planned. 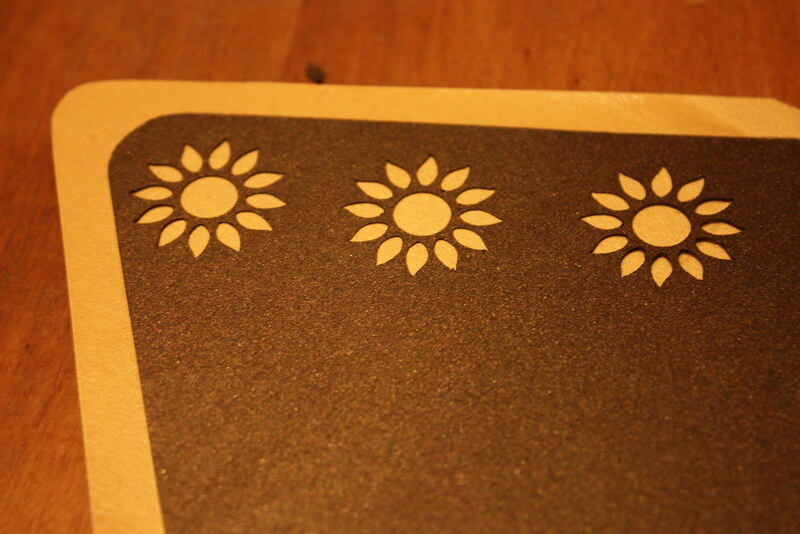 In the end, I've come to love the off center line of 3 sunflowers more so than the centered ones. But as my punch was starting to jam (either needs sharpened or the spring is busting) and I didn't want to break my hand punching 3x what I originally intended, I stopped with what I had. This means 1/3rd of our guests will get the crazy 3 and the other 2/3rd will get the sophisticated single. 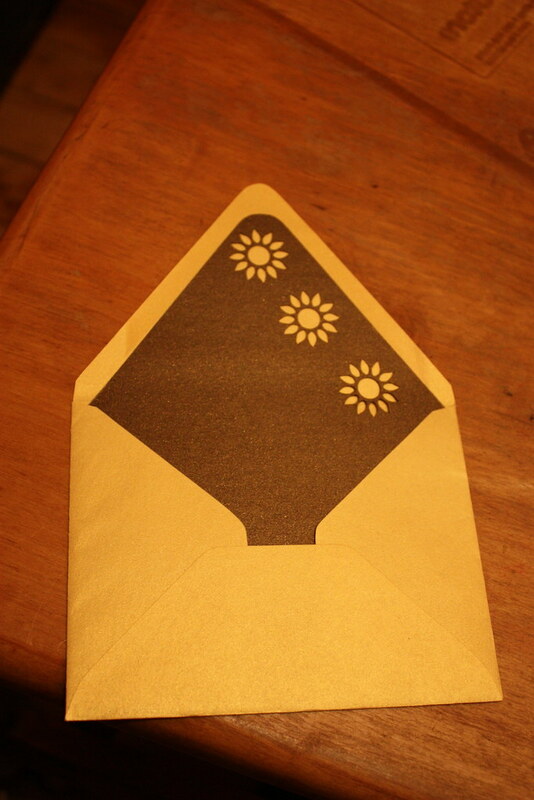 Anyone else go with the look of punched silhouettes in their wedding envelope liners? Thanks! I was wavering on them bc of the time to cut all 150 out. But a friend of mine with a letterpress studio got an A2 die for me to cut them all there. The flower punching took an evening.